Astrology: Is It Popular Among People? As per astrology, celestial bodies such as the stars and planets have a strong influence on our lives. Astrologers claim that our feelings, traits, behavior, wealth, success, marriage… all can be impacted by the movement of the planets. Many people believe that celestial bodies have an impact on life on Earth. 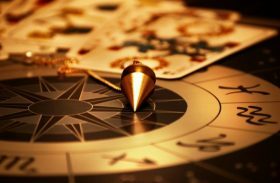 The natural tendency for people to believe in astrology derives from the desire to find control in the uncertainties of life. People often engage in difficult situations that involve important decisions accompanied by anger, fear or anxiety. In order to escape the chaos of life and to seek guidance when making decisions, people will continue to check their daily horoscopes daily and will consult astrologers, even if they lack predictive validity. The concept of astrology is not new and can be traced back 3,000 years, to the time when people did not have accurate calendars and they all depended on productive agriculture. People needed to know when they should plant and harvest, so they were reliant on the sky for calendar purposes. Since earliest times, there have been many people who have claimed to predict future with accuracy. However, beliefs about astrology vary in different cultures and regions across the world. Astrology has three main branches: Western, Chinese and Indian astrology. 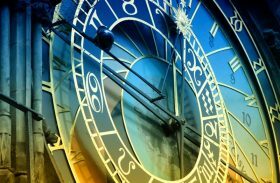 Western astrology has been practiced first by the ancient people of Babylonia, and then it spread to other countries in the world. The Babylonians believed that the movements of the Sun, Moon, and other planets were associated with the activities of God and claimed that they are able to predict these activities. The Babylonian priests were able to predict important events in human lives, based on their interpretations of the heavenly activities. A horoscope is a person’s birth chart or diagram which represents the positions of the Sun, Moon, and planets at the time of a person’s birth. The birth chart is also known as astrological or natal chart. Astrology divides the sky into twelve sections, with different zodiac sign based on the characteristics of the celestial bodies. While there are many astrologers who believe that the astrology dates and time of birth is most important, others claim that the month of birth is important for their horoscope. The oldest known personal horoscope was made for the birthdate of April 29, 410 BC. Daily Horoscope: true or false? To Believe or Not to Believe in Love Horoscopes?